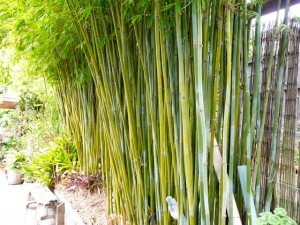 We specialise in non-invasive clumping bamboo plants. Ideal natural screens, hedges and windbreaks, suitable for most soil types and conditions. Maturing heights range from 3 – 25 metres. These are available for pick up or delivery nationwide. 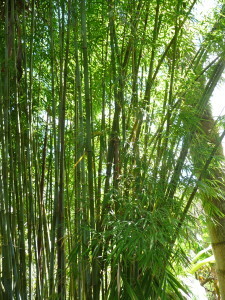 Bamboo is beautiful, it provides shade and tranquillity. It is an excellent feature plant proving itself to be an architectural favourite. It is one of the fastest growing and most versatile plants in existence. Bamboo can be planted in very narrow spaces, as little as 20 – 30cm, while at the same time providing substantial height and growth. Bamboo is fast becoming recognised as an environmental and global resource.It provides a green living fence for natural privacy. Environmental notice – We do our best to reuse all our horticultural planter bags. We encourage you to keep reusing them also. If you don’t reuse them, we’d greatly appreciate receiving them back, and will happily accept other usable pots to reuse also. If I’m unavailable to speak on the phone please send a txt message.No voice messages please. I will respond to you ASAP. The nursery is located in a beautiful west coast setting. There’s plenty to see and do, being very close to the Te Henga (Muriwai to Bethells) trail, Goldies Bush walk, the Gannets, main beaches and Cafes. The nursery has plenty of examples of semi-established specimens.